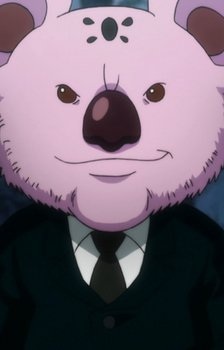 Koala was a soldier under Meleoron's command, but disapproved of Meleoron's pacifist attitude. He generally does not take part in the war between the Hunters and Chimera Ants. After Meleoron has gone individual, he is presumably free from any duty.